Foo Fighters front man, Dave Grohl, took “break a leg” literally, as he broke his leg during a concert in Gothenburg, Sweden, on Friday evening. 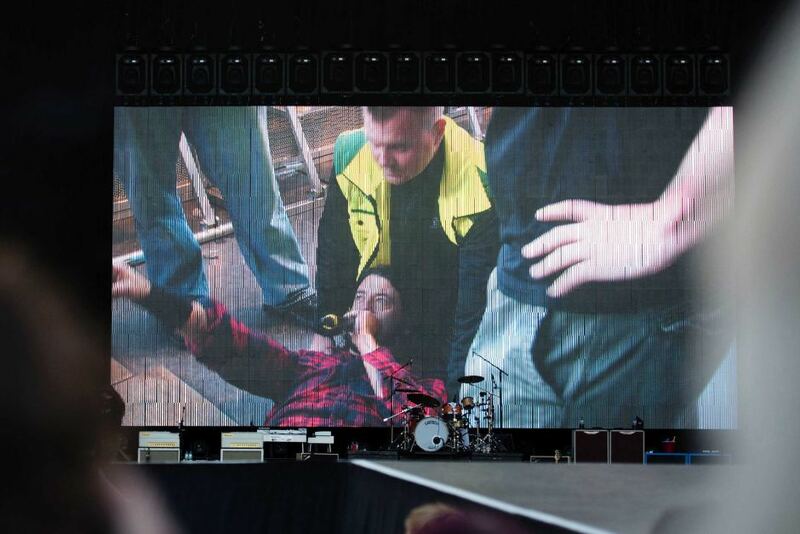 As the Foos were playing Monkey Wrench, Dave fell off the stage and broke his leg upon impact with the ground. It’s apparent that Dave is lacking some lactose in his diet. Shortly after the fall, and as the song died down, Dave proclaimed to the audience, “Hey, ladies and gentlemen. I love you, but I think I just broke my leg. I really broke my leg”. 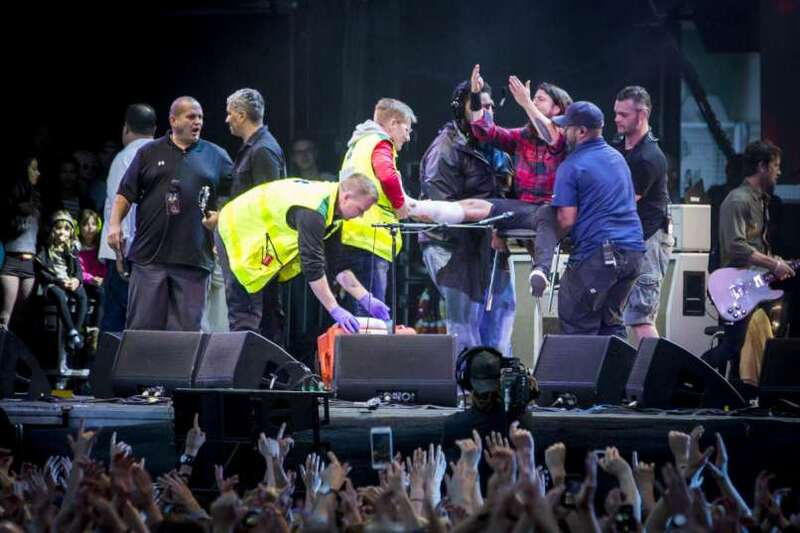 The band continued without Grohl as he was attended to backstage by paramedics and doctors. Foos drummer Taylor Hawkins took over the singing duties as the band played a few covers. But Dave would never let his fans down. The world’s current biggest rock star returned to the stage, with a cast on his broken leg, to continue the set. What a legend. Here is a video of Dave saying f*ck that sh*t, I’m rocking on! What a man. 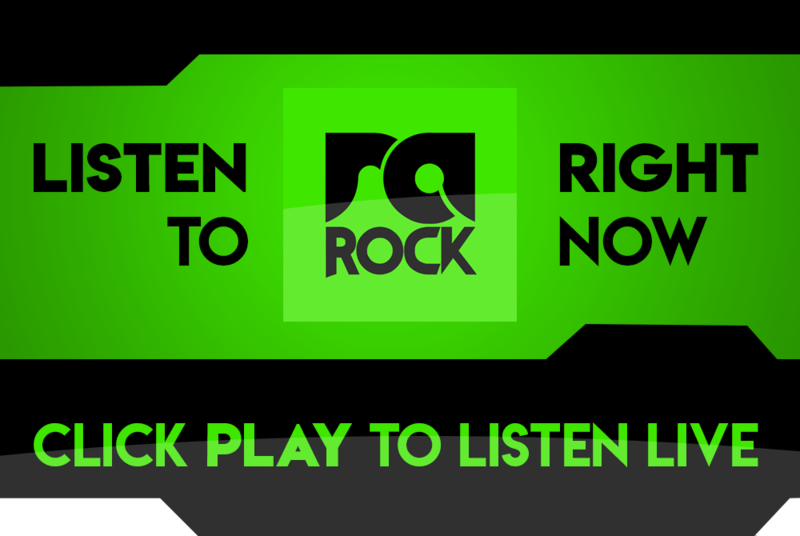 RadioActive Rock salutes you! The next two Foo Fighters concerts in the Netherlands and Switzerland have been canceled due to Grohl’s injury.